Throughout her life, Megan had always been an avid horseback rider, until in her mid-twenties, when her hands and lower joints started to become stiff and painful. Doctors told her she was too young to have arthritis, but she knew it wasn’t carpal tunnel, that it was rheumatoid arthritis and insisted on a retesting which showed a positive rheumatoid factor. After several years of tried and failed treatments, she’s still looking for that perfect fit, but decided to do something positive with the hand she’d been dealt. Now serving as Mrs. North Carolina American Dream, she encourages all patients to be an advocate for themselves while she works to expand programs and resources for them, connecting with patients and their families over the course of their diagnosis and treatment, and fundraising so that we can find the cure! She may not be riding horses anymore, but Megan has started running over the last year, logging several 5Ks with the goal to show the importance of maintaining an active lifestyle, no matter what it is, post-diagnosis, and that you can do anything you set your mind to! With this supreme honor of being chosen this year, she asks you to join her team, Break The Ache, for 2018 Jingle Bell Run Raleigh and together, let’s run toward the cure for our nation’s number one cause of disability! To support Megan or join her team please click here! 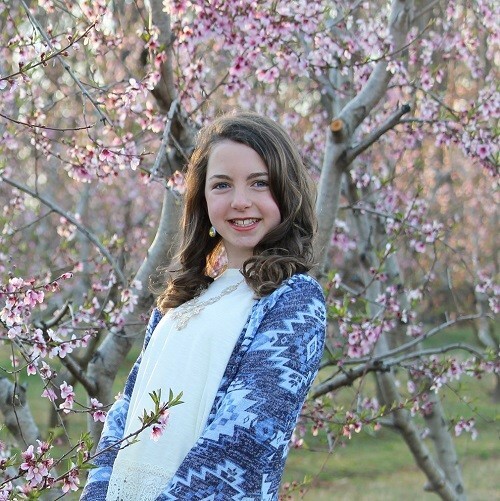 Emma is an active and inspiring twelve year old living in Wake Forest, NC and was diagnosed with polyarticular juvenile arthritis in April 2018. In January, she began to have symptoms of pain in her right hand and over the next few weeks inflammation in her left ankle. Over the coming months, she began to have increased pain, inflammation, low energy, stiffness, as well as low grade fever. After being treated for tendinitis in her foot for several weeks, with no improvement, her doctors became suspicious of another issue at hand. Emma had multiple blood tests, an MRI, and finally an ultrasound. The combination of these tests confirmed Emma had polyarticular juvenile arthritis. In the fall of 2017, Emma was very active with her competitive swim team, weekly piano lessons, as well as being a normal kid who enjoyed riding her bike, playing basketball, and any activity a kid should enjoy. Before her treatment began, Emma did not have the ability to enjoy these activities but with the help of her pediatric rheumatologist since April, she is slowly beginning to get back to the things she loves. She continues to strive for remission with altering meds as needed and we are thankful for the progress being made by the Arthritis Foundation to continue their efforts in finding a cure. Emma has been motivated by this experience to inspire and help others. With your help, remission and a cure is possible. Join Emma’s Army today to fight with us! To support Emma or join her team please click here!